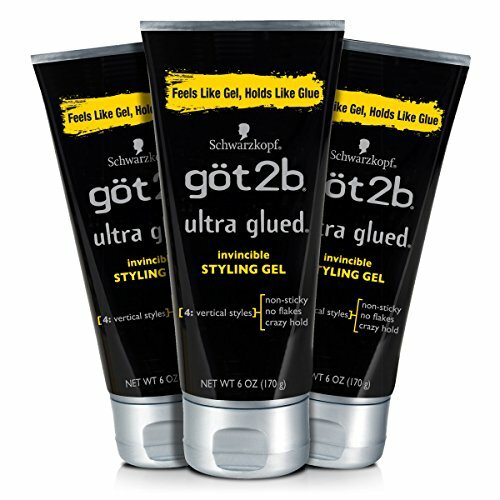 This gel's hold is no joke! So put it down and slowly back away if you're not up for the strongest gel hold ever! This non-sticky, no-flake formula is powered by high-tech styling agent - we call it Alpha XTR. Call it what you want, it lets you take your hair to new heights. Or do your own thing and cement your individual style. And when the party comes to an end, easily un-glue with a little shampoo. Go ahead - style away! Use on damp or dry hair. Squeeze a small amount into palms, rub hand together and distribute evenly throughout hair. If you have any questions about this product by Got2b, contact us by completing and submitting the form below. If you are looking for a specif part number, please include it with your message.